Steal their secrets to get started and keep moving—no matter your fitness level! We all have days—or weeks—when we’d rather do just about anything than go to the gym. But what if an entire class of people is depending on you to show up? That’s the reality for many fitness professionals. Firing themselves up, keeping spirits high, and committing to fitness every day is part of the job. But that doesn’t mean it’s easy. It just means they have no choice but to figure out ways to make it happen. You, on the other hand, do usually have a choice. 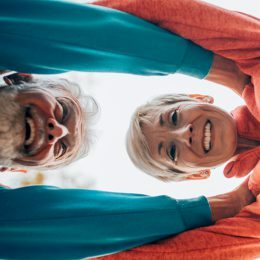 To help you make the right one—and reap the many benefits of exercise—try adopting any of these proven strategies to stay motivated. “I brush my teeth every day because it’s healthy, and I do my daily workouts and maintain at least one rest day for the same reason,” says Melissa Summit, a SilverSneakers instructor in Upper Sandusky, Ohio. Have joint pain or are recovering from injury, your doctor may recommend non-swimming water-based exercise, such as SilverSneakers Splash. Use a wheelchair or have balance challenges, your doctor may recommend fitness classes that you can do seated, such as SilverSneakers Classic. Need a challenge, you can check out classes with a higher intensity, such as SilverSneakers CardioFit or BOOM. 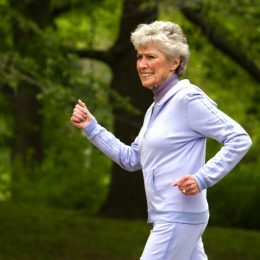 Want to exercise outside of the gym, you can look for classes like tai chi and yoga taught in community settings, such as SilverSneakers FLEX. Prefer working out on your own, you can take advantage of a free gym membership at more than 14,000 locations in the SilverSneakers network. Check your eligibility for SilverSneakers, find a location, or get your member ID here. With SilverSneakers, gym membership is free. Some members find it useful to also work with a personal trainer. Want to make it easier on your wallet? Use one-on-one sessions to help you get started with a program you can continue on your own or ask about small-group sessions. You’ll also want to make sure he or she is certified. Get more tips on personal training here. Want to mix things up? If you’re a SilverSneakers member, you can go to any participating location or class you like in the network. 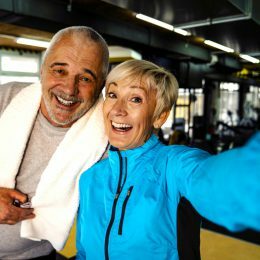 For example, if there are three participating fitness centers in your area, you can use weights or exercise machines at one location, swim in the pool at another location, and take a SilverSneakers or FLEX class at the third location. “If I’m not feeling up for a workout, I tell myself I’ll just do a light, easy 10-minute walk on the treadmill,” says Katie Adair, a SilverSneakers instructor in Peachtree City, Georgia. “Usually once time is up, I feel a bit better and want to go a bit longer, which usually results in a full workout when all is said and done,” she says. It’s simple but effective! Even five minutes is enough to do something positive for your health, whether it’s a muscle-building bodyweight circuit or one simple stretch for your shoulders, back, and hips. “If I’m not motivated, I put on some music and start dancing,” says Kathy Collinson, a SilverSneakers instructor in Sterling, Illinois. “I do this during the 10 minutes or so as people are setting up for class, and it will usually get me in the mood,” she says. With resources like Spotify and Apple Music, you don’t have to spend much time at all searching for new songs. “They’re so smart, they’ll make playlists for you once [the program] gets to know your style,” says Brooke Degnan, a personal trainer in Overland Park, Kansas. Bonus: Research has uncovered more surprising health perks of music. Check out our guide to five compelling reasons to turn on some tunes, beyond getting pumped up for your workout.